This lowered VW Transporter came into us with noisy front suspension when turning. After a quick inspection on the ramp it was quite obvious that the cause of the noise was the broken front springs. 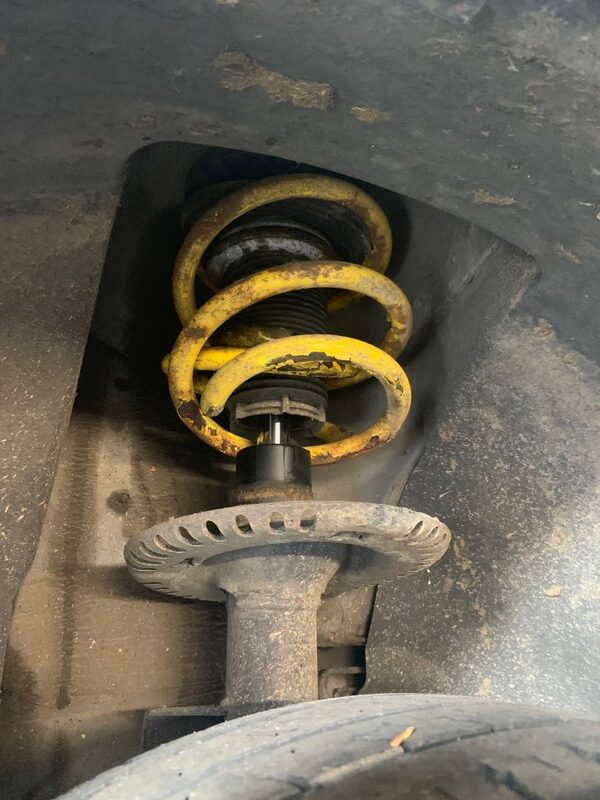 The customer had brought the VW with the lowering springs already fitted and wanted it restoring to original height for a more comfortable drive, this meant replacing all four springs with original length springs. Once we had replaced all four springs the van was then taken for a road test and drove as it should with no rattles or bangs then was handed back to one happy customer. 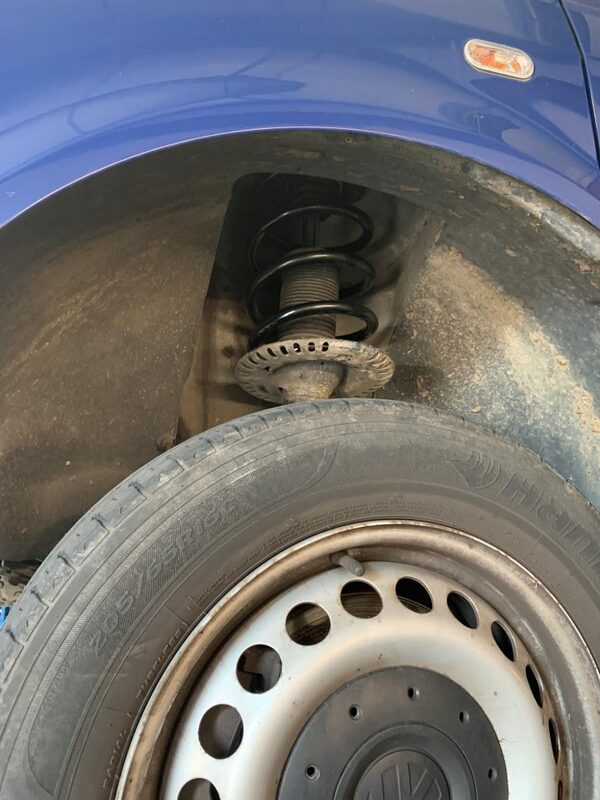 Broken coil springs can be very dangerous, they can cause tyres to blow out, wheels to jam up inside the wheel arch and are also an MOT failure so if you think your car doesn’t sit right or you can hear a noise from your suspension get it checked out before it gets worse. This entry was posted in Uncategorized on April 23, 2019 by Aaron Harding. Lease Car / PCH Car Servicing. When you are looking at leasing a car there are many things to consider, one of the most important of those is cost! So you have bartered with the sales rep to get the best price for your new lease car and now you know how much the monthly costs will be, but then most dealers or lease companies will try to tie you into a service plan with them to increase there profits on the sale. Most lease cars either on Business Contract or Personal Contract do NOT have to be serviced at the main dealer, you can find this information out by contacting your lease company or checking your lease contract. 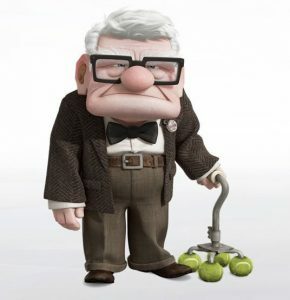 There is a law which stops main dealers forcing customers to use their services and as long as the car is serviced to the same specified schedule and genuine or OE parts are used it will not affect your warranty or your lease contract, this law is called ‘Block Exemption‘. When it comes to cost an independent garage is on average 30-50% cheaper than the main dealer, so over a three year lease period you could save quite a bit of money. This entry was posted in Uncategorized and tagged lease, lease car, PCH, Servicing on December 8, 2018 by Aaron Harding. As some of you may know we decided sell our beloved Clio Cup race car and move up to a Honda Type R which will make us able to race in higher class’s. Over the last few months we have been testing the car to make sure it doesn’t have any issues and for us to get some well needed seat time to get used to the new car, many thanks to Chris from Circuit Days for the track time and his input into how the car handled. The first test day was at Donington Park which is our local circuit and would be good to see how it compared to the old Clio, after the test day we realised that in general the car was very good but the suspension seemed a bit to soft for how we wanted the car to handle. After doing plenty of home work we opted for the Yellow Speed Racing coil overs (as used in the Civic Cup) with bespoke spring rates, we managed to get the kit fitted and setup before our second test day which was to be at Rockingham Race Way. The test day at Rockingham was a great success, the new suspension had transformed the car into exactly what we wanted, the car was now planted, balanced and very controllable, we even managed to get a few laps with one of the cars we will be racing against next year and realised that even though the car was more than capable of keeping up we needed more seat time! Our third and final test day of 2018 was at Oulton Park and it was wet, ideally we wanted a dry day to see if our times were good but we also new we needed to test in the wet so it wasn’t all bad, with our wet tyres on the car handled brilliantly and we were getting more and more confident as the day went on. In the afternoon the rain had died off and there was a dry line appearing on the track so we decided to try our dry tyres to see how it would handle on a drying track, the car behaved in general but was a little twitchy on the back end which was to be expected. In conclusion we are very happy with car and have managed to get it to a point where we are happy to race it. Now for the strip down over winter and over to the bodyshop for our new paint scheme for next year, stay tuned for more updates. 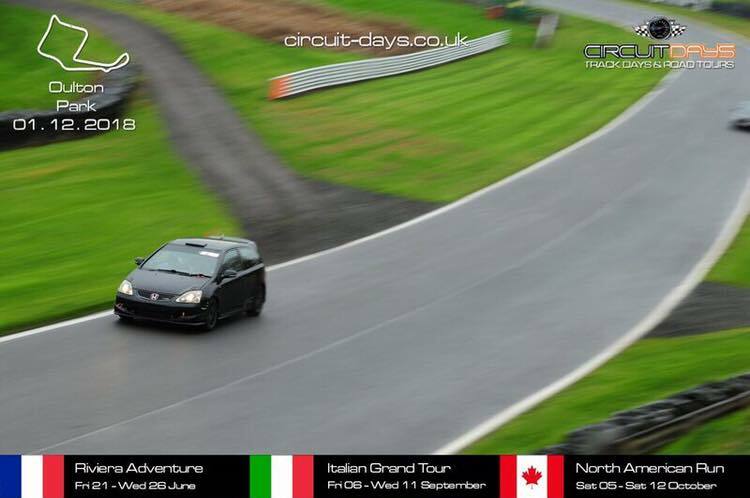 This entry was posted in Uncategorized and tagged Aarons Autos, civic type r, derby, honda, Race Car, racing, track day on December 6, 2018 by Aaron Harding. Audi A1 1.4 TFSI Timing Chain Fault. This Audi A1 TFSI came into us with poor running, noisy and the engine management light was on! We carried out a diagnostic code read to find the reason for the EML light to be on which gave us several codes relating to an incoherence between the cam and crank shaft sensors. 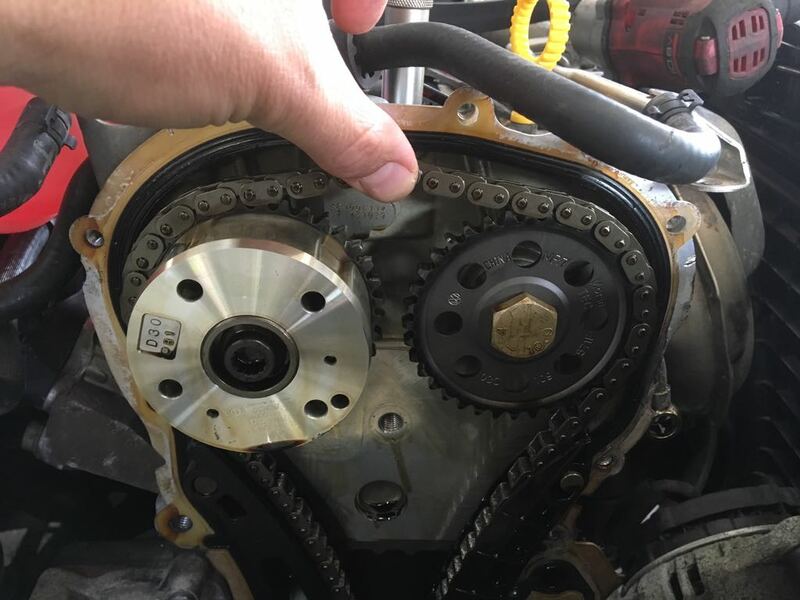 The next step was to partially strip down the engine on the Audi to access the timing chain, once stripped we were able to see if the timing marks for the chain lined up with our specialist timing tools, then check for any signs of stretching or damage to the chain and gears. In this case it was quite obvious, once the timing chain cover was removed we could see that the chain had stretched so much that even at full extension the chain tensioner couldn’t tension the chain, thus causing the timing marks to be miss aligned. 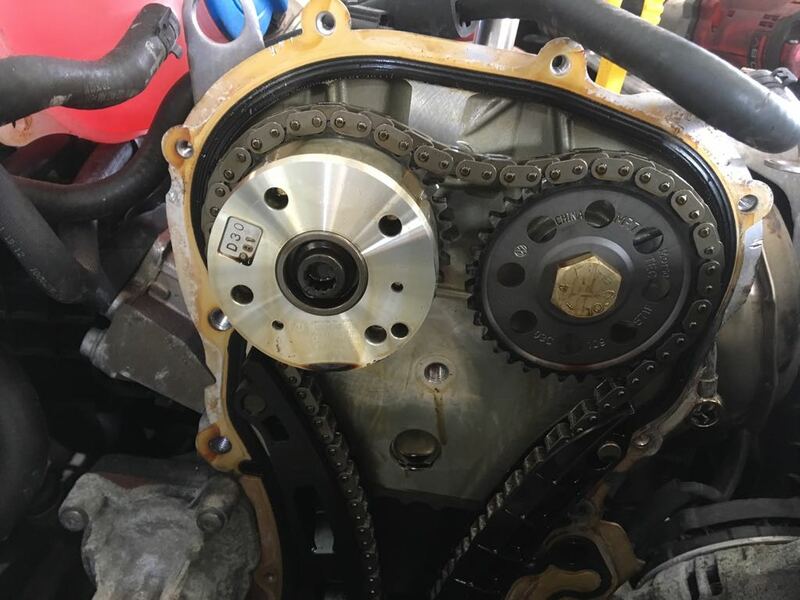 We sourced a new timing chain kit and tensioner for the A1 and fitted it making sure to check all timing marks were lined up as per factory settings, then rebuilt the engine using new gaskets, oil filter and some fresh oil. After the rebuild we cleared all the existing codes relating to the timing issues and tested the engine which sounded nice and quiet compared to when it came in to the garage, the engine management light stayed out and all sensors read as they should. Lastly we carried out a long road test before handing it back to a happy customer. This seems to be a common fault on this 1.4 TFSI engine which is fitted across the VAG group of vehicles, VW, Audi, Seat and Skoda. This entry was posted in Uncategorized on June 20, 2018 by Aaron Harding. A few Jobs from last week. 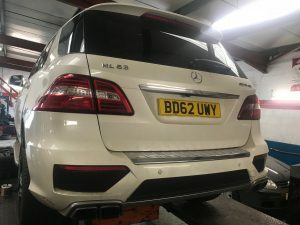 This beautiful Mercedes ML63 AMGcame in for a brake check after its owner had noticed the brake warning light had come on, after a quick strip down and report the customer gave us the go ahead to replace its MASSIVE front brake discs and pads and rear pads. The front brake discs on this three tonne 500+ horse power beast are 395mm in diameter! to put that into context a ford focus has 270mm discs! 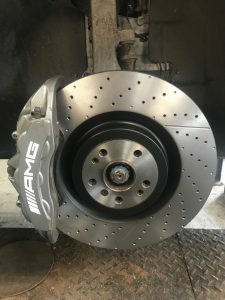 The AMG also runs Brembo six pot callipers on the front for optimum braking. 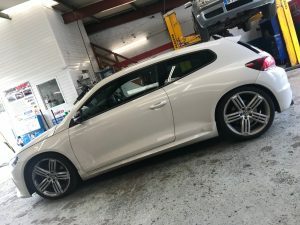 The owner of this Scirocco R came to have his own lowering spings fitted as he wanted the car to sit lower. 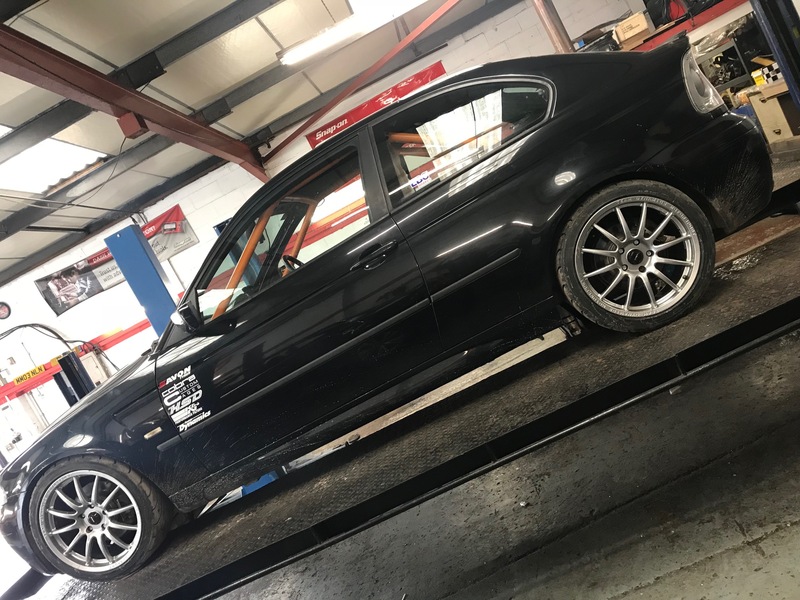 This BMW 325 Compact Track car came in for a quick Geometry check and adjust before its owners took it to Bedford Autodrome for their Track Day, the owners had fitted all the suspension components them selves and just wanted the alignment checking to make sure it didn’t kill tyres and they could get the optimum performance from their new kit. This entry was posted in Uncategorized on May 9, 2018 by Aaron Harding. New MOT Laws Coming In May!! 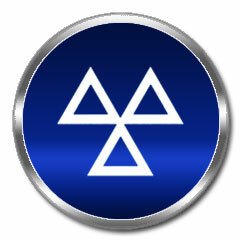 Many of you may not know but MOT laws change all the time! What would PASS an MOT last month could FAIL an MOT this month. The DVSA (Driver and Vehicle Standards Agency) are the ruling body when it comes to what is classed as safe and what is un-safe or even dangerous on your vehicle when carrying out an MOT at any test station. In May 2018 we will see some of the biggest changes in MOT law in a long time, these could effect everybody who drives a vehicle on our UK roads. One of the biggest changes will be the fact that it will no longer be PASS or FAIL for items on the MOT, the tester will have several options to choose from depending on how bad the fault is. Dangerous – Items that the MOT tester deems to be dangerous at the time of test and should be repaired immediately before the vehicle can be driven on the road. Major – Items that will cause the vehicle to fail the MOT test but will not stop you from driving the vehicle to get it repaired. Minor – ‘Minor Fails’ are basically replacing the existing ‘Advisories’ and will mean your vehicle will still PASS its MOT but these will be recorded on the DVSA database for the following year. Driving a vehicle that has a Dangerous failure will be breaking the law and would make you liable for three points on your driving license and up to a £2500 fine, and according to the latest information if you are caught twice within a three year period you could get a driving ban of six months. There are other changes coming to, some relating to lighting, some to emissions and dashboard warning lamps. This entry was posted in Uncategorized on April 3, 2018 by Aaron Harding. 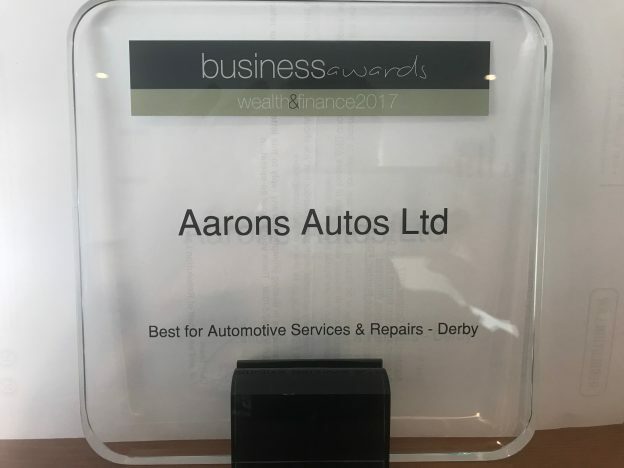 It is with great delight that as 2017 comes to a close we find out that we have won an award from Wealth and Finance Magazine for ‘Best Automotive Services and Repair – Derby’. This has come as a wonderful surprise as we didn’t even know we had been nominated, apparently we made it down to the final seven Garages and then won. We would like to take this opportunity to thank our customers as without their comments and reviews awards like these would be impossible for a small garage in Derby to achieve. Success in business is a challenge in today’s fast paced global market, as companies compete for customers with competitors from around the world thanks to the increased prevalence of technology in the international corporate landscape. and the individuals driving them, showcasing their achievements and successes from the past 12 months. nominee’s region to their performance over the past 12 months, their commitment to innovation, their methods and even their competition to ensure that only the most deserving names walk away with one of our prestigious titles. This entry was posted in Uncategorized on December 22, 2017 by Aaron Harding. Winter Servicing – Fact or Fiction? The practice of servicing vehicles specifically for the winter months using lower viscosity oils, along with the use of summer and winter coolants, has been outdated for many years. Today, enhancements to engine components, lubricants, and coolants have generated more efficient engine operation for a wider temperature range. Low viscosity synthetic oils have been developed to cope with low temperature pump ability, which is directly associated with less engine wear, increased fuel economy, and longer engine life. Modern day engine coolants last longer than ever before, with a possible life span of 150,000 miles or 10 years. Manufacturers have also increased service intervals to drive down the cost of motoring – however, with intervals being longer, essential checks in preparation for the winter are being overlooked. In theory, a well-maintained vehicle should not require any additional checks to get it through the winter. We all know how problems develop over time and if regular checks are not carried out, unnoticed issues could result in a component failure or breakdown. Statistics show that there are more breakdowns during winter than in any other season; carrying out regular vehicle checks throughout the year is one way of preventing this. According to roadside recovery companies, over 10% of drivers worry that their vehicles are unable to make it through winter without breaking down. Carrying out ‘winter checklists’ before it gets cold is another course of preventative action, allowing workshops to inform customers of any potential vehicle issues that could result in a vehicle failure. Although most items on the checklist are obvious, their importance is not always as clear to drivers. Coolants – Long-life coolants still need to be regularly checked to ensure that the vehicle is fully protected from corrosion and freezing. Using a refractometer is one of the simplest and most accurate ways of testing the strength of long-life coolants. Batteries – Vehicle batteries have come a long way in recent years to deal with the ever-increasing number of ‘lifestyle’ electronics within modern vehicles. However, short journeys with reduced charging time and the increased electrical load during the winter will still reduce the battery’s performance and could ultimately result in battery failure – with nearly 20% of winter breakdowns due to battery faults. Filters – When it comes to general maintenance on the vehicle, replacing the cabin filter isn’t at the top of the owner’s priority, but this is still an important filter to check. When the filter becomes full of dust, pollen, and other foreign particles, the fresh air output into the cabin is heavily reduced and condensation will take longer to clear. Air conditioning – During winter, air conditioning is often used as an effective method of demisting windows, as it draws out the moisture from within the vehicle. So, a check on its efficiency is an excellent pre-check for the winter, not just for the summer. Screen wash – Maintaining the correct concentration of screen wash additive is something that is often overlooked. It will help prevent the washer fluid from freezing in the jets, pipe work, and even the reservoir in extremely low temperatures. A winter checklist could contain other safety-related items including brakes, lubricants, lights, tyres, wiper blades, and much more. So, whilst winter servicing may be a thing of the past, winter checks are still a valid offer to customers who cannot carry out the regular checks that all vehicles needs to remain in a safe and serviceable condition. This entry was posted in Uncategorized on November 29, 2017 by Aaron Harding. 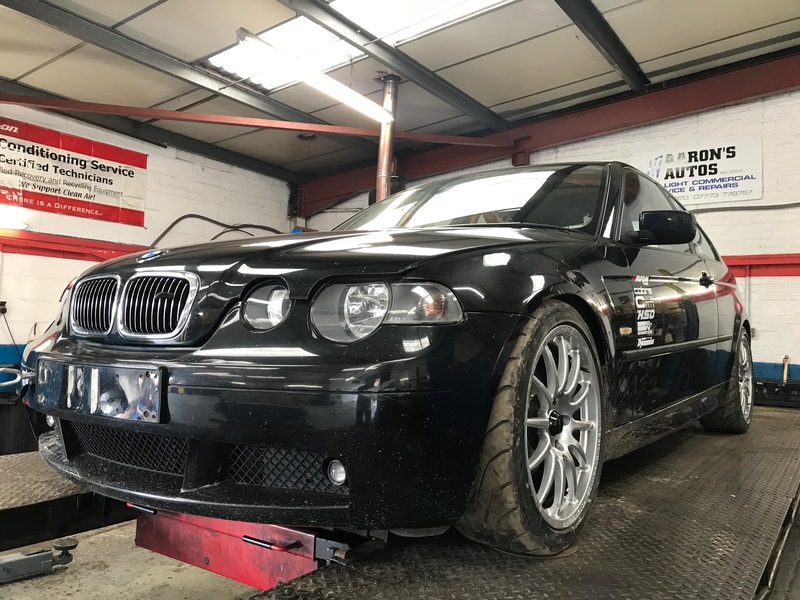 Aarons Autos was established in 2004 and has continued to grow year on year into a very successful small business, and with our very friendly and welcoming team we hope to carry on for many more. Non of the above would have been possible without the help, inspiration and confidence in me from friends, family and colleagues. One of the main people who gave inspiration and financial input to help get the business up and running was my Grandfather (known as ‘Pop’) who unfortunately died on the 6th November 2017. Our Pop would have been 98 years old on the 27th November 2017 and in his own words “Had a good innings” he had seen the world change in so many different ways through his life, and had plenty of stories to tell. One of his favourite sayings was “There is no such word as can’t!” and this was drilled into us all from a young age and has stuck with me ever since, things can and do get hard in business and life and sometimes seem impossible, but inevitably there is a solution whether it be looking at something in another way or trying a completely different way to find a solution to the problem. I still try and use this in the day to day running of the garage, for every problem there is a solution and everything that is broken can be fixed, whether it is practical to do so is another question. I was taught to always tell the truth! Another saying he used which he got from his father was “I was taught to always tell the truth” and from a young age I remember this to be true, If he had a problem with you or what you were doing he would tell you, and also he would want the same in return (although not many dared). Again this a good practice, if we have a problem with a job or something goes wrong tell somebody, nobody is perfect! But as said before, every problem has a solution. This entry was posted in Uncategorized on November 11, 2017 by Aaron Harding.